I still had a lot of passion fruit pulp left over from making the lilikoi malasadas so I thought I'd try to make some passion fruit ice cream. 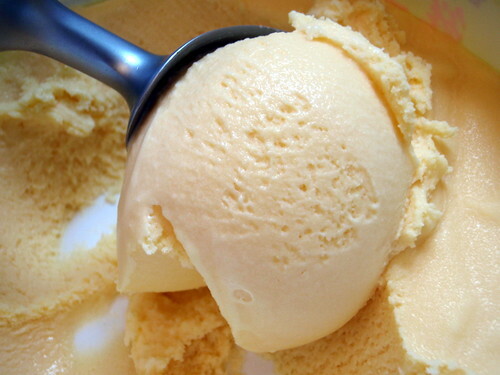 This recipe uses whole eggs just like my favorite strawberry ice cream recipe. I noticed that when cooking the custard, it doesn't get as thick as the yolk-only custards before it threatens to curdle. So make sure you don't look for it to coat the back of your spoon and take it off the heat as soon as it reaches 170°F. Because I only had one cup of heavy cream, I divided all the ingredients by a third except for the passion fruit. Quite a few of the comments for the recipe mentioned adding more pulp so I added more proportionally. Whisk together sugar and egg. Heat cream in a small heavy saucepan over moderate heat until it just reaches a boil, then add hot cream to egg mixture in a slow stream, whisking. Pour custard into saucepan. Cook custard over moderately low heat, stirring constantly, until it registers 170°F on an instant-read or candy thermometer (do not let boil). Pour custard through a fine sieve into a clean bowl and cool completely. 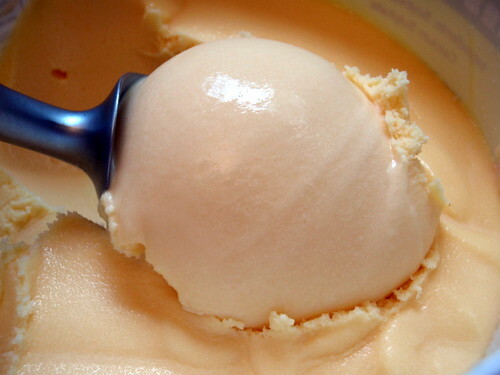 Stir in passion fruit pulp, then chill, covered, until cold. 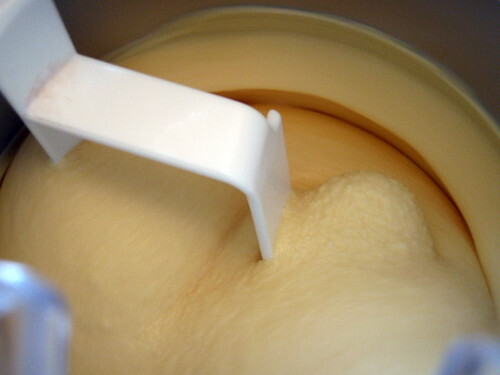 Freeze custard in ice cream maker. Transfer to an airtight container and put in freezer to harden.